Cook carrots according to package directions until tender. In a small bowl combine chicken broth, vinegar and brown sugar and set aside. Add olive oil to a large skillet and heat over medium. Add carrots and season with salt and pepper. Stir while cooking for about 5 minutes. 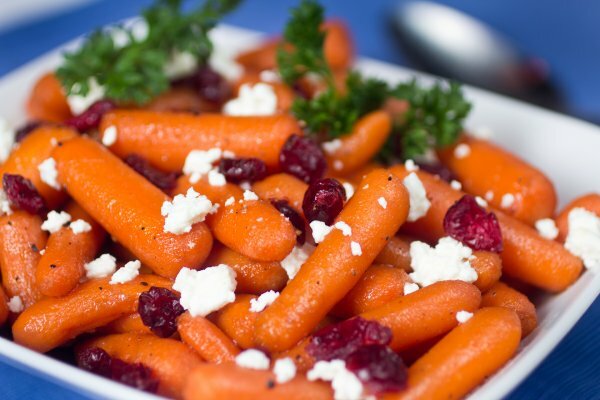 Pour vinegar mixture over carrots then add dried cranberries. Cook an additional 2-3 minutes until carrots have been evenly coated. Pour carrots into a bowl and crumble the feta on top. Garnish with parsley and serve.